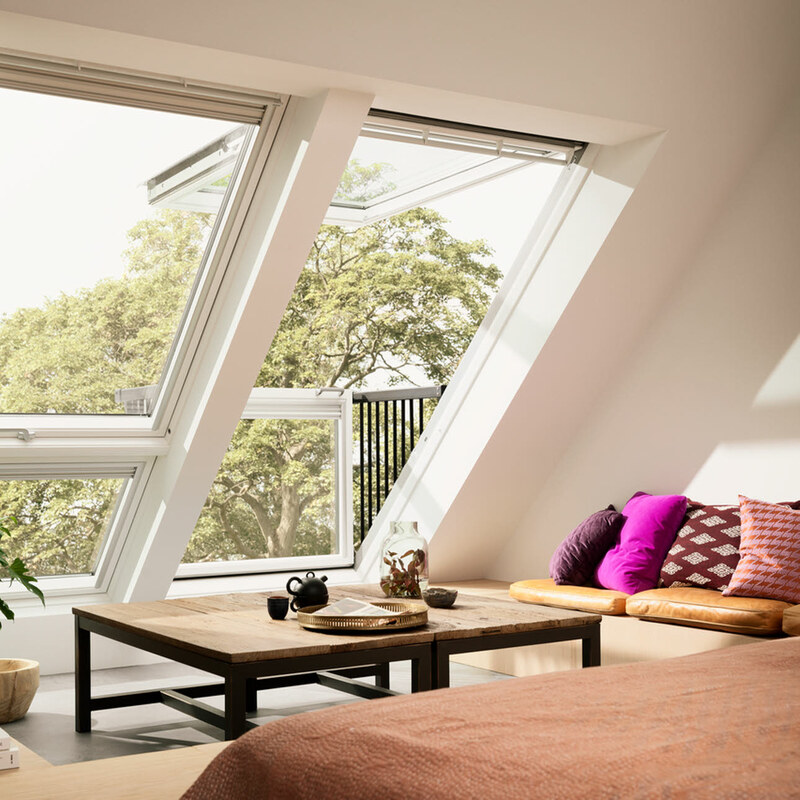 Bring in even more daylight with the VELUX CABRIO® balcony & roof terrace ranges. 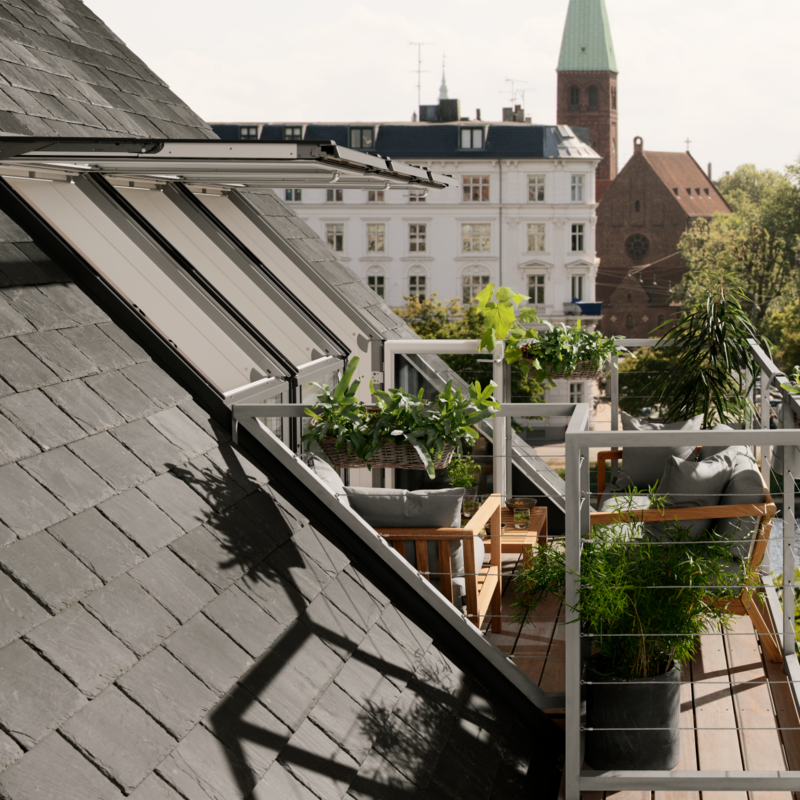 Unused spaces can be put to good use when you install a VELUX CABRIO® balcony or roof terrace. Bring in extra daylight, fresh air and direct access to the outdoors with either option. You can add more dimensions in creating a balcony feature or even roof terrace to make the most out of unused roof space. The CABRIO Balcony opens in seconds to give your loft space a place in the sun. This innovative feature brings in air, light and opens up your skyline too. A great way to add value. 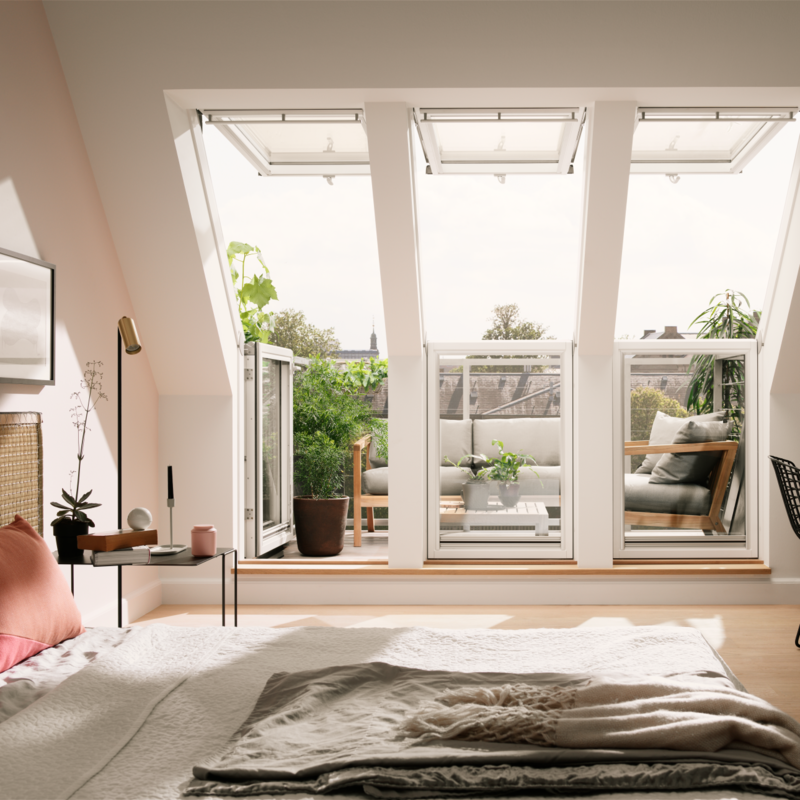 Even if the floor space in your loft is limited, you can still enjoy the added space and light that a roof terrace brings. The roof terrace helps you make the most of your unused roof space without compromising the size of your living space.